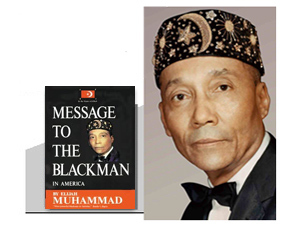 Almighty God, Allah, who appeared in the person of Master Fard Muhammad, has given us the knowledge of self and others, and we are now spreading it. Allah chose me to teach you this particular subject: “Accept your Own and be Yourself.” This was His first and foremost teaching for us. This is the teaching and these are the words of Almighty God, Allah, to us in the Person of Master Fard Muhammad, to whom praises are due forever and ever. Is it true that you have rejected your own? Is it true that you do not want your own and reject the truth that the Almighty God of Truth has brought to you? Is it true that you would rather be other than yourself? The so-called Negroes, of which I am a member, are the lost and found members of the tribe of Shabazz, from that great aboriginal people of the earth—the Black Nation. Remember this, we are the aboriginals of the earth and are called the Black people, and we are the Black Nation. Living under the rule of other than our own kind and self for the past 6,000 years has brought much misunderstanding, much not knowing and many theories that have been used in many places and the people have taken theories that have been used in many places. A theory is not true until it has been proved to be true. For the past 6,000 years we have not been ourselves. This is true. For the past 400 years, we, the lost and found members of our kind here in the Western Hemisphere, especially in the part called the United States of America, have been actually made more ignorant to the knowledge of ourselves than any other people on the earth. Though our Black brothers in Africa, and Asia too, have to learn the knowledge of self, they are a little step ahead of us because they have not been deprived of their way of life or their desire to live their own lives; that is, for the past few centuries. The coming of the White European race into their countries interfered with their own. And to this day this has caused great confusion among the African original people, so much so until today they, too, are a long way from having the true knowledge of self. We can examine the knowledge of all the people as far as races are concerned, such as the White, Brown, Yellow and Red races, and find that they, too, are really off the knowledge of their real selves, according to the teachings and truth of Almighty God, Allah, Who has revealed it to me. Let us take a look at some of what Allah has revealed to me on this subject. Spiritually He says that your own self (referring to you) is a righteous Muslim. Physically, He says that we are the first and the last and that there were no people before us. We are not from a father of another people. We are the father of all human beings, regardless of color or language. This covers the Brown, Yellow, Red and White. Originally, all of these races—and they are truthfully named by the word races—were begun by the Black Man. They all came from him, and there are some White scientist who know this and will agree, and there are probably scientists of the darker races who will also agree. But there are only a few who actually know these truths, and these few have not felt that they should reveal it to the masses because they feel that this is something they should hold for their own interest.